Superb designs and extremely helpful and knowledgeable rep - Lauren. 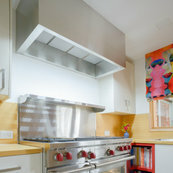 The company helped us with a custom designed rangehood for an outside kitchen. Qasair rangehoods provides us with customised options to ensure our clientsparticular needs are always satisfied. They are a pleasure to work with!